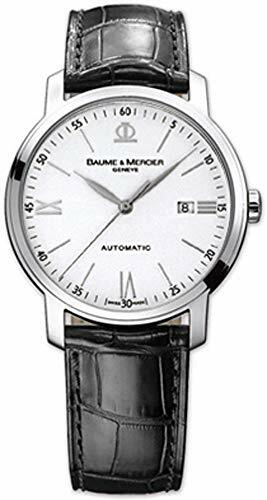 Baume & Mercier ClassimaRemaining loyal to the Baume & Mercier motto, "Accept only perfection, only manufacture watches of the highest quality,"the Classima is the watch for the up-andcoming generation and tomorrow's talents. 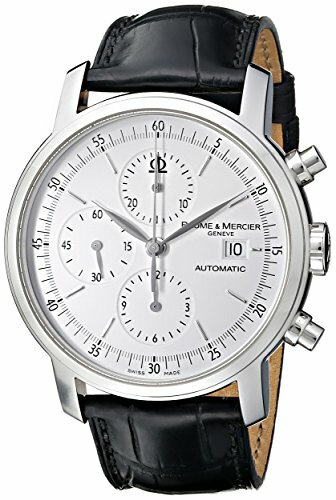 With its 40 mm diameter polished steel case, it has all the marks of success: it features a refined white dial with an understated line decor for a determinedly timeless look, a large date in twin apertures positioned at 12 o'clock, and a second time-zone in a counter at 6 o'clock. 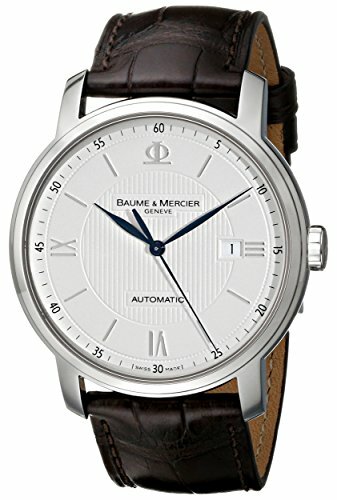 Housing a high-precision Swiss quartz movement, the Classima upholds the codes of luxury and watchmaking savoir-faire while remaining affordable. 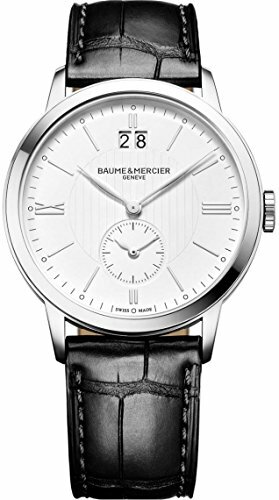 With its black alligator strap, Roman numerals and elegant indexes, this ideal watch for young graduates offers incomparable style that is unique yet timeless, classic yet contemporary. In short, it is endlessly captivating. Its solid case back allows it to be secretly engraved with a name, date, quote or sentimental message. 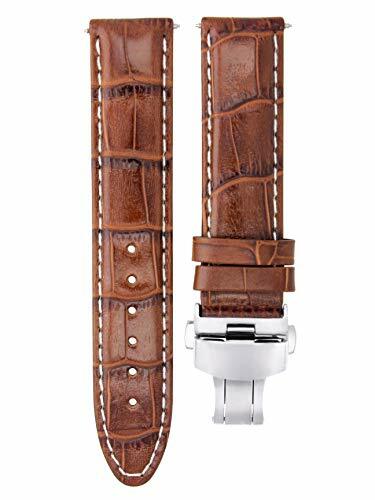 It is a watch with a hint of everyday to discreetly wear with a suit and slide under a shirt cuff, yet also offers a more casual feel for weekend wear. 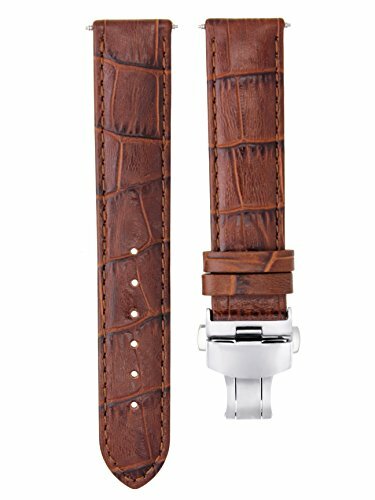 Stainless steel case with a brown alligator leather strap. Fixed stainless steel bezel. 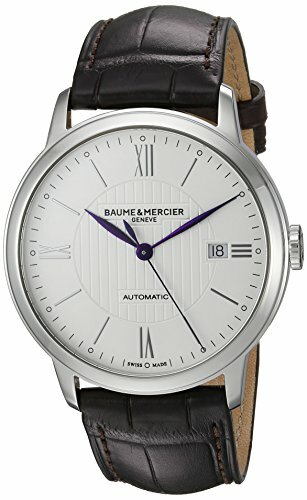 Silver dial with blue hands and index hour markers. 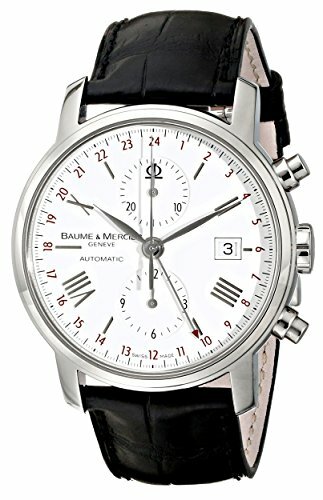 Roman numerals mark the 3, 6, 9 and 12 o'clock positions. Minute markers around the outer rim. Dial type: Analog. Luminescent hands and markers. Date display at the 3 o'clock position. Automatic movement. Scratch resistant sapphire crystal. Pull / push crown. Skeleton case back. Case diameter: 40 mm. Round case shape. 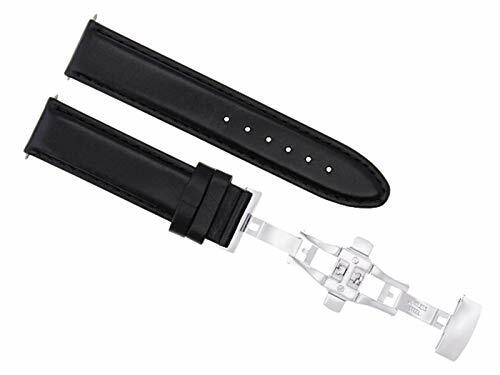 Band width: 22.9 mm. Band length: 9 inches. Deployment clasp. Water resistant at 50 meters / 165 feet. Functions: Date, hour, minute, second. Dress watch style. 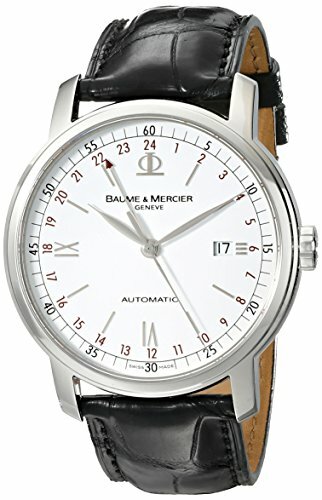 Baume et Mercier classism automatic silver dial brown leather men's watch 10214.